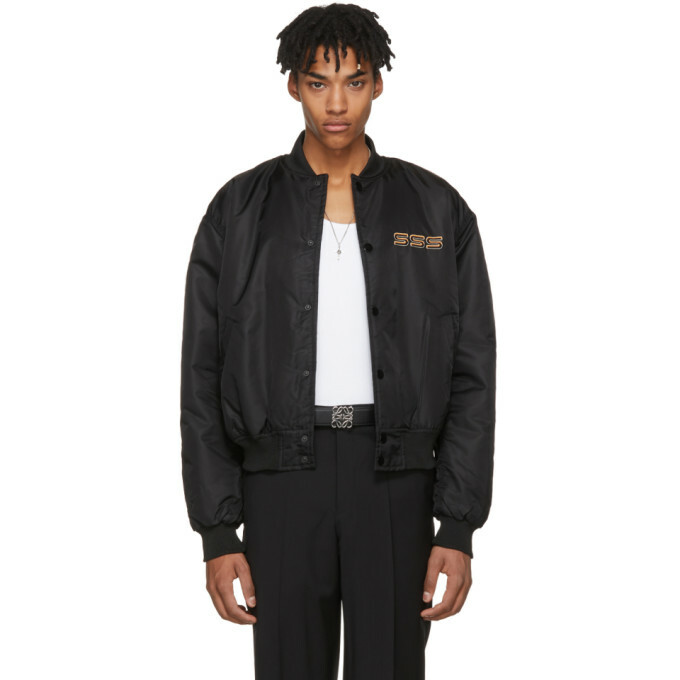 Long sleeve padded nylon satin bomber jacket in black. Rib knit stand collar, cuffs, and hem. Multicolor graphic embroidered at front and back. Button closure at front. Welt pockets at waist. Fully lined. Tonal hardware. Tonal stitching. Pair of mismatched ankle-high cotton-blend socks in black. Logo pattern knit in red at rib knit collar. Text knit in red at sole. Tonal stitching. 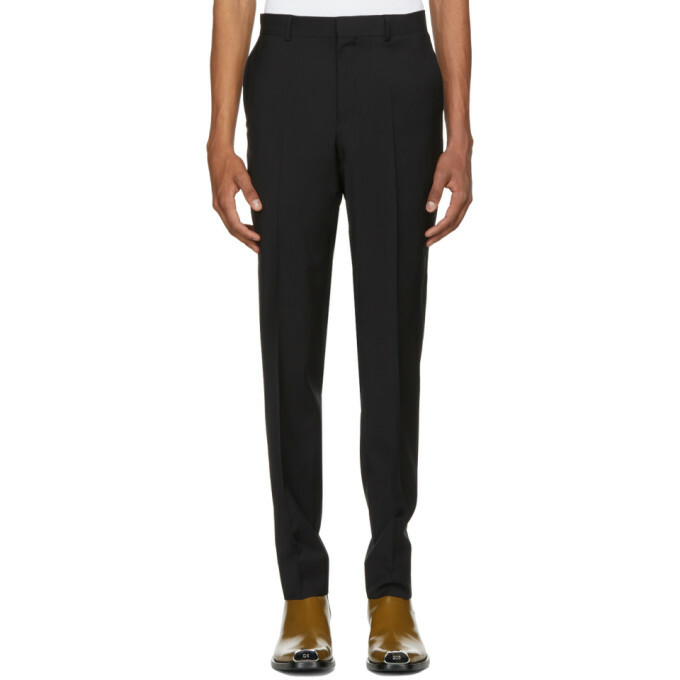 Slim-fit wool trousers in black. Mid-rise. Four-pocket styling. Central pleats at front and back. Zip-fly. Tonal stitching. Long sleeve wool twill blazer in black. 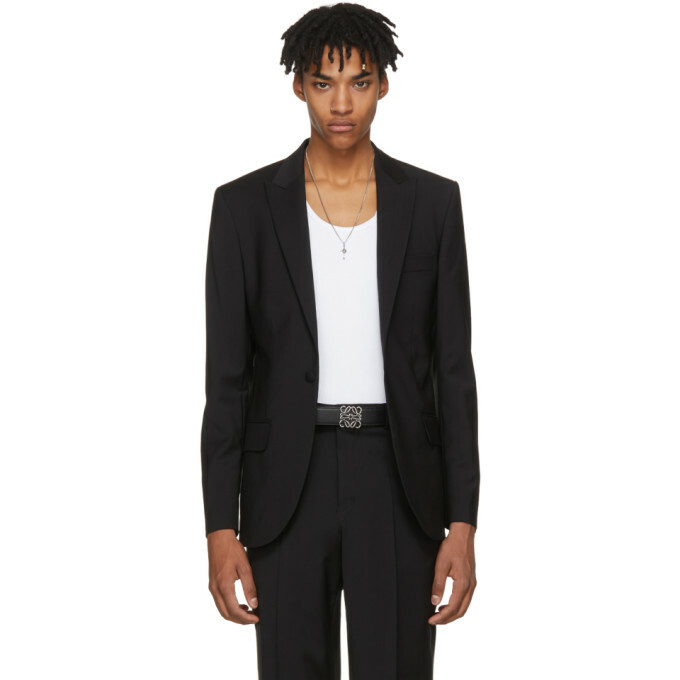 Peaked lapel collar. Padded shoulders. Single-button closure at front. Welt pocket at chest. Flap pockets at waist. Surgeon's cuffs. Welt pocket at fully lined interior. Tonal stitching. 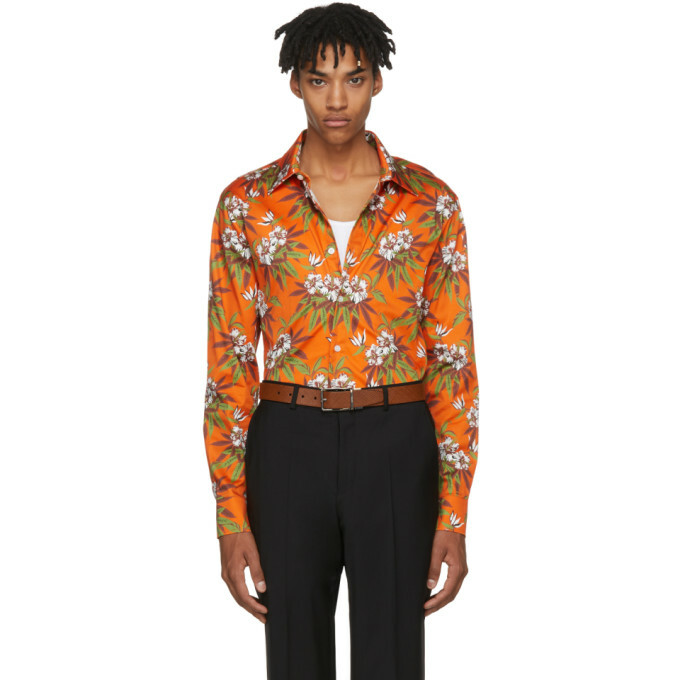 Long sleeve stretch cotton poplin shirt in orange featuring multicolor pattern printed throughout. Spread collar. Button closure at front. Single-button barrel cuffs. Curved hem. Tonal stitching. 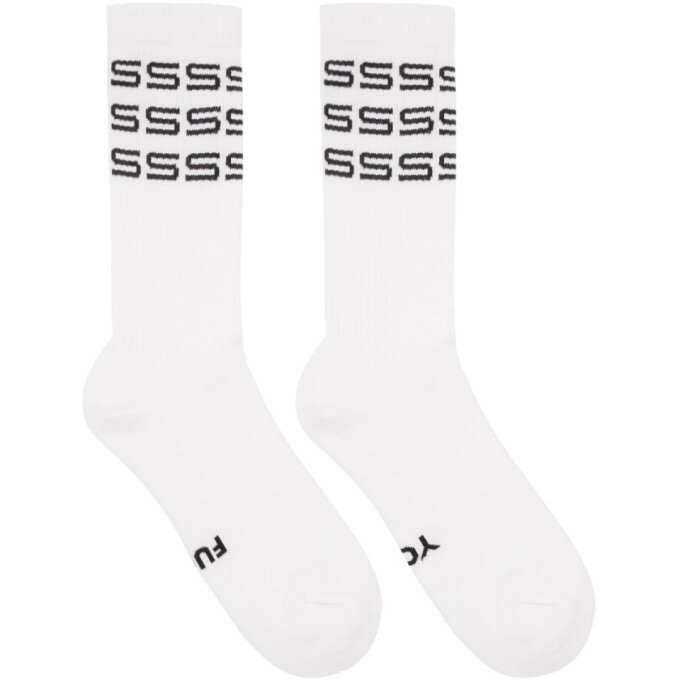 Pair of mismatched ankle-high cotton socks in white. Logo pattern knit in black at rib knit collar. Text knit in black at sole. Tonal stitching.